^ Quickfacts.census.gov - Humboldt County Archived 2011年7月11日, at WebCite - accessed 2011-12-06. ^ American FactFinder - Dakota City, Iowa - accessed 2011-12-06. 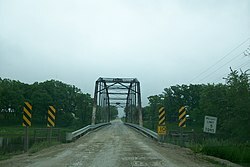 ^ American FactFinder - Humboldt, Iowa - accessed 2011-12-06. ^ a b "City of Humboldt History." City of Humboldt. Online History. Retrieved August 10, 2010.